I always have big plans for celebrating holidays. Sometimes these plans come close to reality, sometimes they don’t! Once I had kids, I had to learn to alter my Martha Stewart or Disney-perfect plans a bit in order to be successful. Here are some tips to help you enjoy Valentine’s Day with your child. 1. Plan in advance. If you are going to have a special meal, do any prep you can in advance. Get the decorations out and ready a few days in advance. Set the table the night before. If there is any food you can prepare in advance, do it. 2. Lower your expectations. I don’t mean this in a bad way – you should not settle. You should, however, communicate everything! Children, and husbands, are not mind readers. 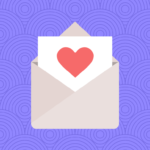 Don’t expect to be pleasantly surprised if you haven’t communicated what you are hoping for. As scary, painful, or foolish as it might feel, stating what you want will get much better results than hoping your family has been looking at Pinterest or paying attention to your needs. 3. Celebrate when you can. If you are not with your child on Valentine’s Day (due to travel, divorce, etc. ), remember there is no rule that you have to celebrate on February 14th! One of my favorite Valentine’s Day celebrations was when our oldest daughter was about 6 months old. My husband and I had a busy February 14th, so we planned, in advance, to celebrate on the 15th. Tim had been very generously giving me roses for Valentine’s Day ever since we started dating. This particular year, he came home with 2 dozen roses! One for me and one for our daughter. While I was pleasantly surprised (I love flowers! ), I teased that he could be setting an expensive precedent. What if we had more daughters? (We did!) That’s when Tim told me that the flowers were 1/2 off! I decided we should try to celebrate a day late for years to come. 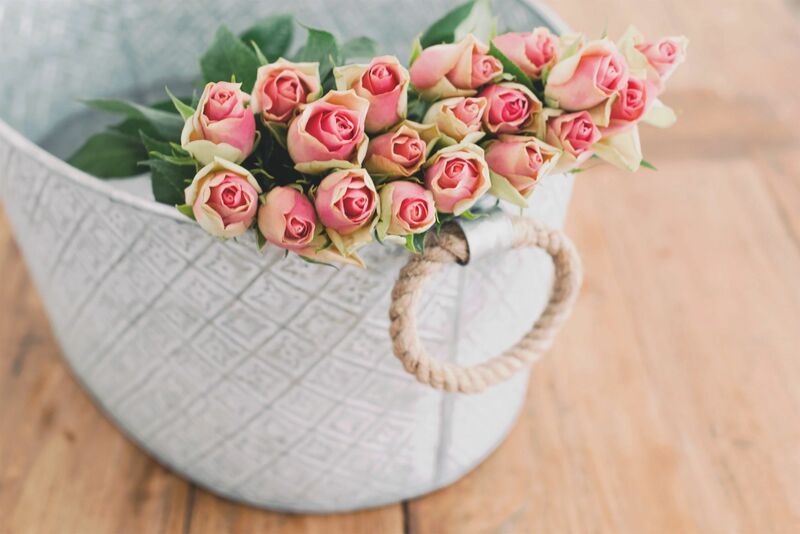 Consider this your heads up – I think the stores have caught on… it takes at least 3-5 days for our local stores to reduce the cost of flowers and candy after Valentine’s Day. Now Tim just buys flowers for me to share with our daughters. 4. Be flexible! 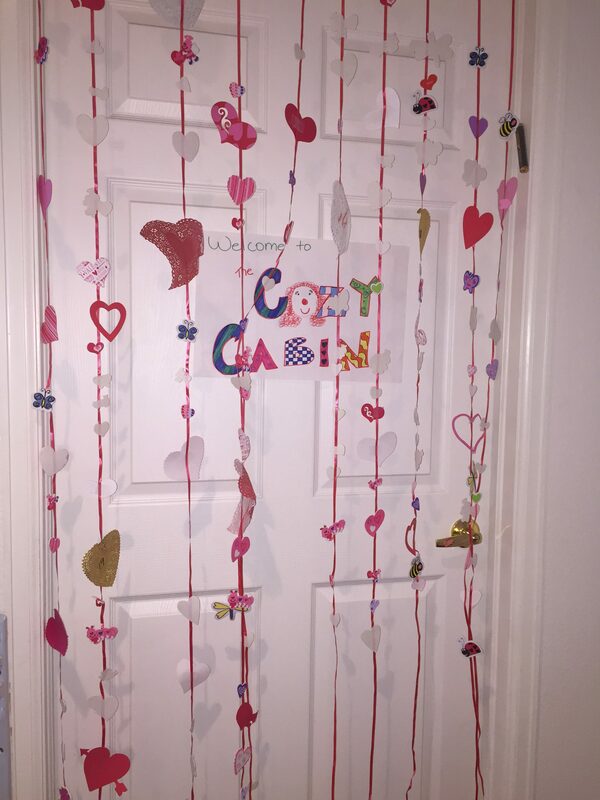 For years I have been decorating our bedroom doors the night before Valentine’s Day, while everyone is asleep. 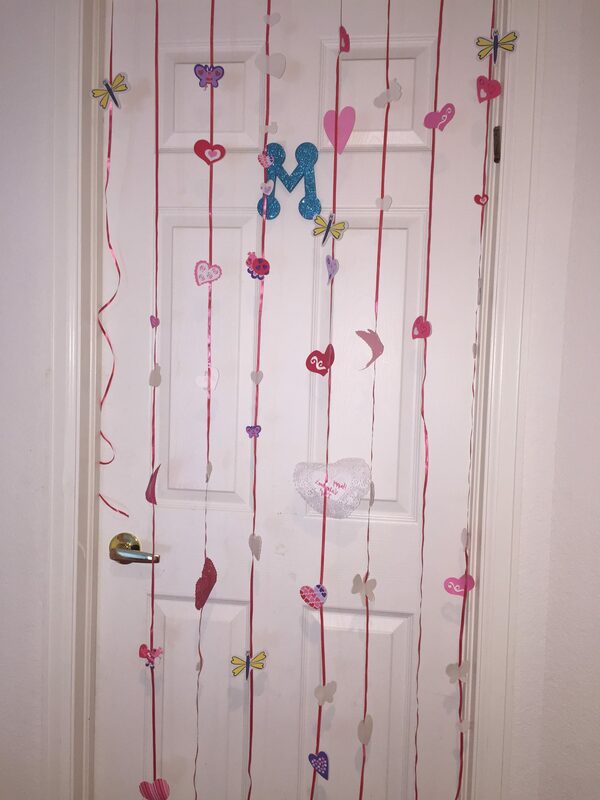 I hang one streamer for each year my child has celebrated Valentine’s day, and on our bedroom door, I hang one streamer for each year that my husband and I have been celebrating Valentine’s Day as a married couple (21 Valentine’s this year!). I attach paper hearts and Valentine’s stickers to each of the streamers. One streamer will have one heart, another will have two hearts/stickers, the next three, and so on. This year, we have a wonderful Korean exchange student staying with us. My plans were to decorate her door with the correct number of decorated streamers, too. However, after a busy day full of activities, by the time everyone was in bed, it was almost midnight. 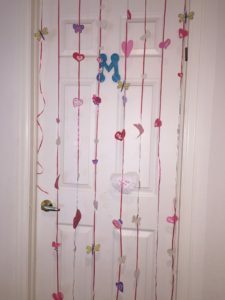 While I had thoughtfully saved many of my streamers from the previous year, I realized it was going to take a bit of time to cut 17 ribbons and count & stick hearts and Valentine’s on each of them. 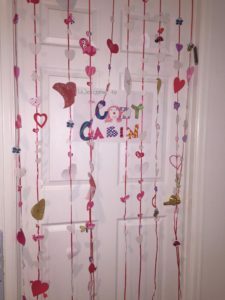 I decided I would share some of my daughters’ streamers and some of ours, too. While it wasn’t what I had envisioned, the flexibility allowed me to go to bed much earlier than if I had stuck to my plan. Another great way to be flexible is in the morning. Even though home made heart pancakes and waffles are great, I would recommend using a heart shaped cookie cutter on store bought waffles when you’re in a hurry. 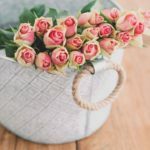 I hope these tips help you enjoy your Valentine’s Day and every other day of the year, too. 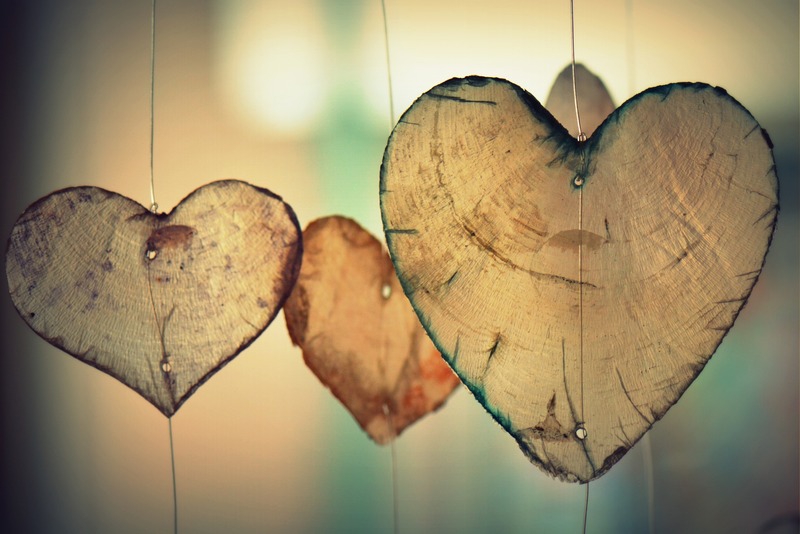 I would love to hear from you what tips you have to help you enjoy Valentine’s Day with your child(ren).